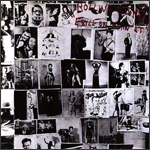 Li: Exile on Main St. The rock and roll bus pulls up to the station. Come one, come all. Everybody’s welcome. Nobody’s excluded here. No country club fees. No bouncers picking and choosing who gets to make it through the door. It’s easy. Just hop aboard the magic bus and go for a ride. First stop is somewhere down in the Deep South, where swamp creatures hang, somewhere under Interstate 10. A harmonica rides shotgun over dueling guitars, pumping bass, and a perfectly placed piano—best keyboards this side of the Mississippi. You can say hello to Hank Williams, Merle Haggard, Marty Robbins, Lee Greenwood, Patsy Cline, Johnny Cash, Carl Perkins and all the greats, and there’s Gram Parsons too, having passed the torch to his good friend, Keith. They are all celebrating the sounds of the South. Sweet Virginia. Torn and Frayed. Close your eyes and you might even taste a shot of Jamaican Rum infused in this the country cocktail. Sweet Black Angel. It bounces off the bongos. Makes you move. Can’t help it. And it’s not just the drums. They aren’t the only percussion here. You can feel the vibration rising up as dancers kick clouds of sawdust up from the wooden dance hall floor below. It’s the heartbeat of a country hoedown. We have the time of our lives, me and Betty Sue swinging circles around the night, round and round in a hillbilly boogie, before it’s time for Cinderella to beat the midnight moon back and head back to the bus. We ride the night into the sunrise, before the magical mystery tour stops again mid-morning in front of a steeple that catches the rising sun just so. Shine a Light. Everybody follows the straight and narrow path up the stairs, heading into the light, into the light, filing in one after another to line the pews of the grand old church for Sunday gospel hour. I Just Want to See His Face. It is time to pray as one. We rise up from the ashes to rejoice once again, all the pain of loss is surrendered in the sweetest release. Soul Survivor. But just like that, we are back on the move—Turd on the Run—making our way to Hazlehurst, Mississippi: Copiah County. Everyone on the bus can feel it. Ventilator Blues. It is the birthplace of the Grandfather of Rock and Roll. The voodoo breeze speaks to us through the half-cracked bus windows. Unavoidable. We’re at a dust bowl crossroads where pacts are made with the devil, any time of day or night. It’s just a roll of the dice. Casino Boogie. Sell your soul. Shake Your Hips. Wear the crown. King of the Delta blues. Stop Breaking Down. When the engine revs and wheels of the bus add a fresh layer of cloud to the swirl, the ride of our lives commences. But we don’t leave Robert Johnson behind by simply pressing down on an accelerator. No, he’s with us forever now. He’s right there in the front seat, in the voice of the singer, and back here in the voices of the backup singers too. We’re not holdin’ anything back. There is a rollin’ rockin’ rhythmic wave that connects the past and present to eternity. Along the highway, under the magic moon, we cuddle up as lovers and friends and sway to ballads that manage to sound different than their ancestral lullabies. Loving Cup. The perspective of time affords us the chance to figure out what has gone down. Things we never should have said are smoothed over now. Let it Loose. A fresh look at what went wrong helps us see all that is still very right. We are rejuvenated, feeling good about ourselves in our little place in time, our contributions to the game. It’s the culmination of the trip of a lifetime, this ride into past and present that points us smack dab to an unknown but exciting new future. Spare parts and scrap metal picked up on the side of the road are thrown into the trunk. We are the great collectors not shy to show off our garage sale treasures snatched along the way. Each discovery blends into Happy. We dance, we sing. Rip This Joint. We turn it up. Feel the funk and spit the groove. Rocks Off. Exaltation. We add to the collection. Each new artifact pays its own special tribute to each and every graveyard we pass along the way as we live and die, live and die, rolling along that great rock and roll highway.